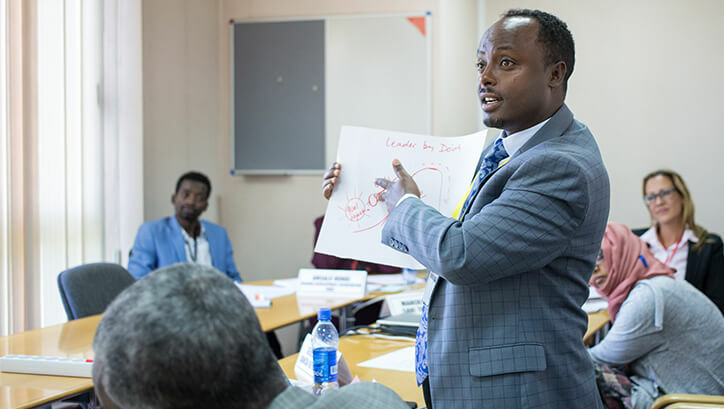 The intention of this blog is to share the story of the Ethiopian NGO Leadership Coaching Summit - the dreams, hard work and people who made it possible, as well as the incredible spirit and energy that was unleashed. 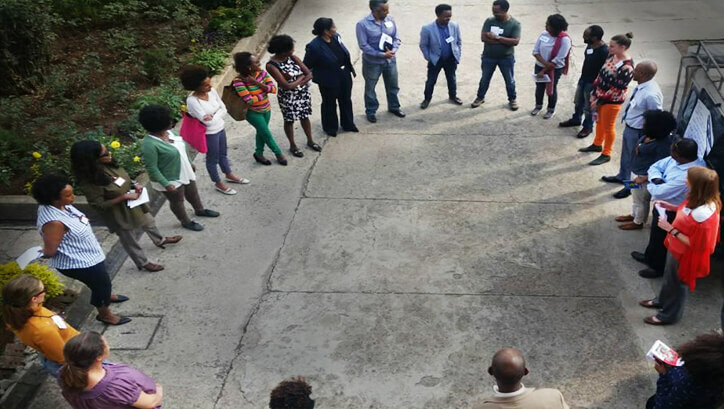 In April 2017, EthicalCoach Founder Ben Croft visited various NGOs around the country to determine the viability of a partnership between executive coaches and NGO leaders in one of Africa’s most densely populated countries. The initial warmth with which these ideas were received and the relationships that were formed at that time laid the foundations for what followed. 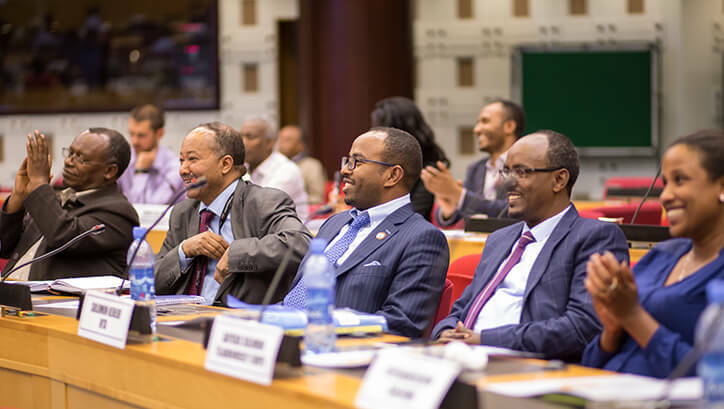 Eighteen months later, the first fruits of that scouting mission were realized with the hosting of the largest coaching summit ever held on the African continent at the United Nations Economic Conference Center (UNECA) in Addis Ababa. 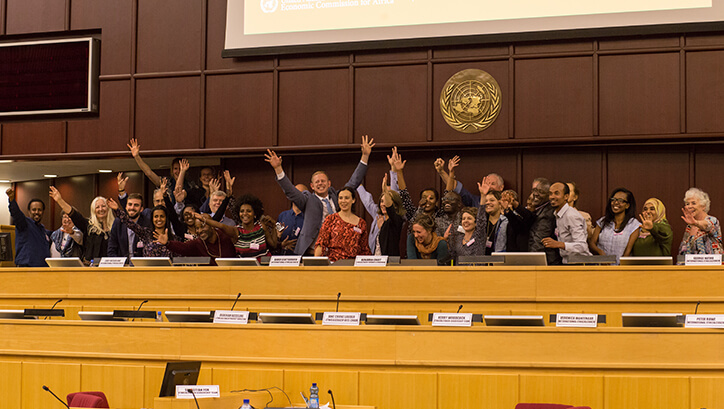 A distinguished collection of 450 nonprofit leaders came together, some connecting for the first time, to learn how coaching could help them realize their visions, dreams, and hopes of making a difference in the lives of the 9 million children and families across Ethiopia served by their organizations. 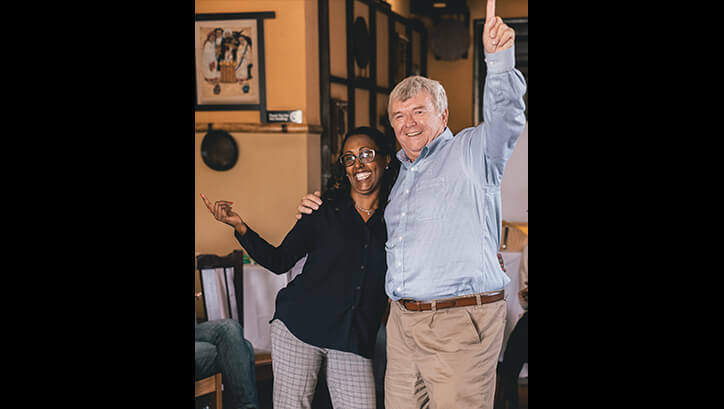 We are excited to share with you this beautiful video - with thanks to Skip Kelly - that captures the spirit of courage, connectivity, compassion and commitment that defined this first NGO Leadership Coaching Summit. Professor David Clutterbuck, author of more than 70 publications on coaching, called the summit initiative “the most ambitious project in the history of the coaching profession”. In truth, there were times that this seemed like an impossible project. 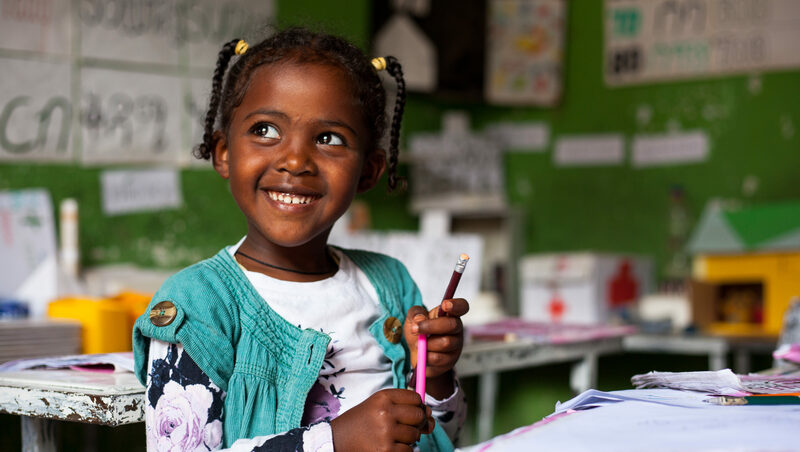 “Ambitious” felt like an understatement when, nine months in, a state of emergency was declared in Ethiopia. With riots and protests across the country and limited internet access, the future felt uncertain. However, by this stage, the team was committed and had to trust that the timing was right. At the same time, appropriate due diligence was exercised with the development of both risk management strategies to deal with an emergency during the Summit and contingency plans to shift the event elsewhere. 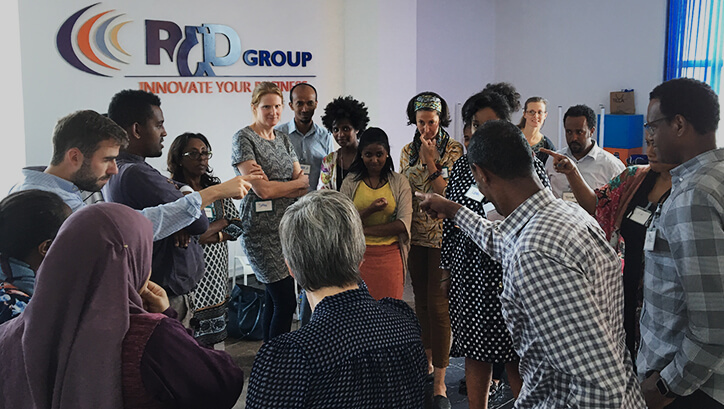 Other foundational areas of work included researching the NGO sector in Ethiopia and building the local relationships that would be critical for success. 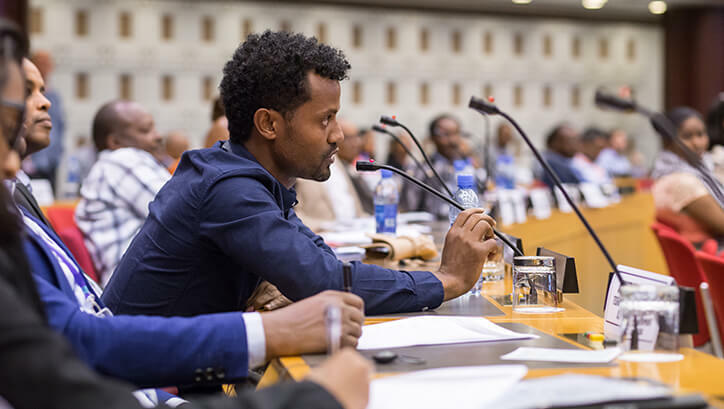 Memoranda of understanding were signed with the Ethiopian Charities and Societies Forum (ECSF) and the Consortium of Christian Relief & Development Associations (CCRDA), two of the largest and most influential nongovernment organizations in Ethiopia. 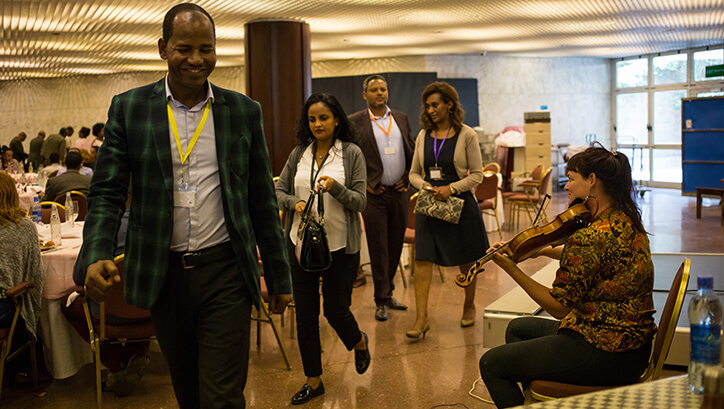 With their support, invitations were extended to the almost 4,000 NGOs registered in Ethiopia. 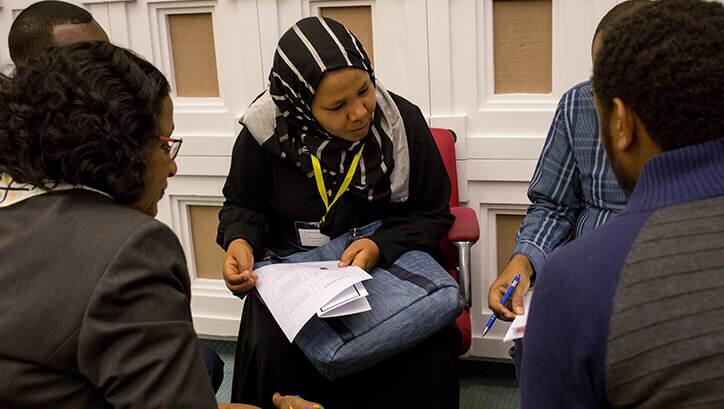 Additional partnerships were created with leaders from across the international NGO community. 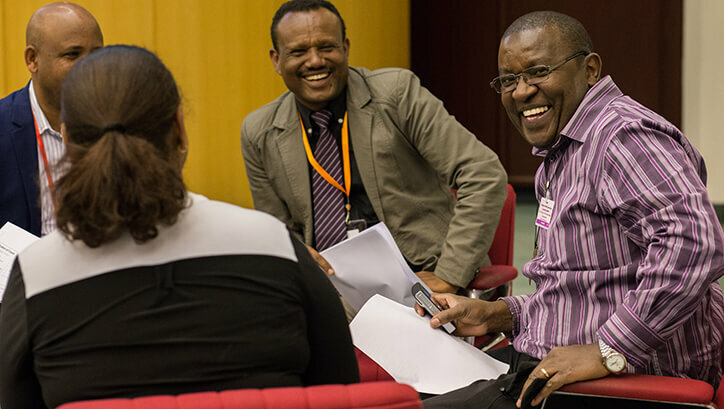 Selecting the 250 individual NGO leaders to be invited to the first day of the Summit from the more than 1,500 applicants involved a thoughtful process with extensive local partner input. Forty of these 250 leaders were then invited to attend the second day, together with members of their leadership teams. 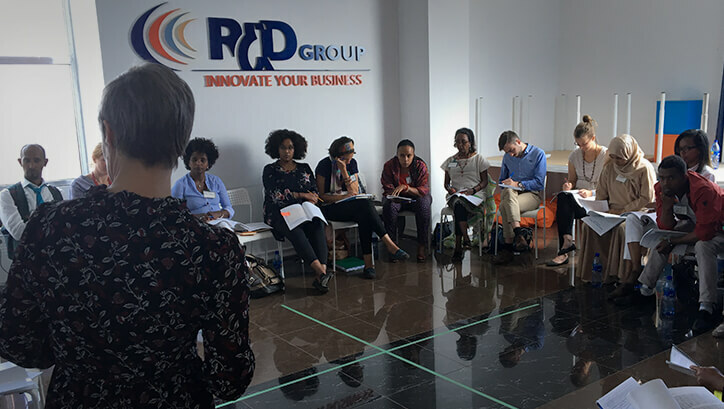 The importance of building local coach capability was identified early in the process, initiating a groundbreaking collaboration of such experts as Professor David Clutterbuck of CMI and Marita Fridjhon of CRR Global, who provided virtual and in-person training to 30 aspirant coaches. 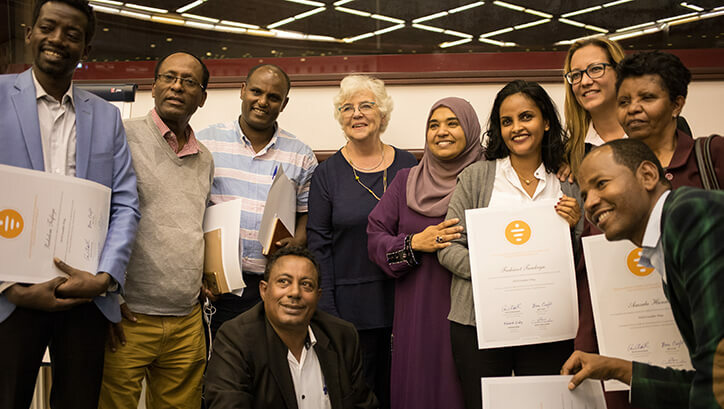 These talented individuals, with support from a dedicated volunteer group, were then able to translate all this hard work into accreditation through the European Mentoring and Coaching Council. Thanks are due to Denise Whitworth for making this opportunity available. We set the Bar extremely High and Aimed for Excellence from the Start. 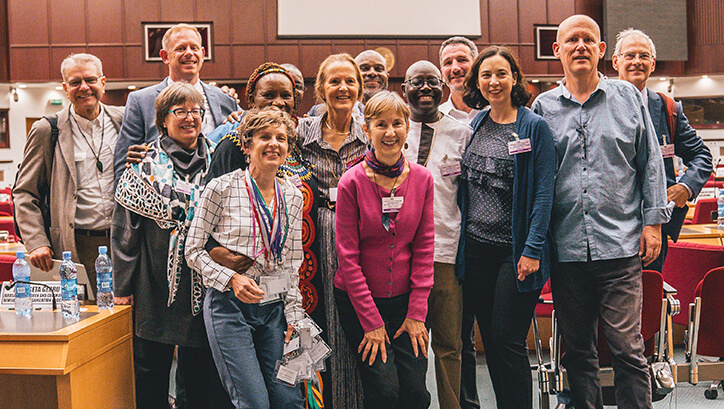 The International Coach Team from left to right: Veronica Wantenaar, Dumisani Magadlela, Chip McFarlane, David Clutterbuck, Nobantu Mpotulo, George Nuthu, Howard Morgan, Marilyn O’Hearne, Paul Lawrence, Katherine Holt with Ben Croft and his personal coach, Peter Rowe at the back and volunteer, Sam Voorhies on the extreme right. The vision was that this group of local coaches would team with experienced co-coaches to deliver the coaching program to selected NGO leaders and their teams. The lead coaches most likely to succeed with this type of inaugural assignment were sought out in an intense international search process that took over six months. The EthicalCoach team established eligibility criteria together with a rigorous selection process. Input was sought from world-renowned coach leaders including Professor Peter Hawkins, Marshall Goldsmith, David Peterson, Judith Glaser and Carol Kaufman. Over 500 coaches applied and after dozens of interviews, ten international coaches from five different countries were selected. 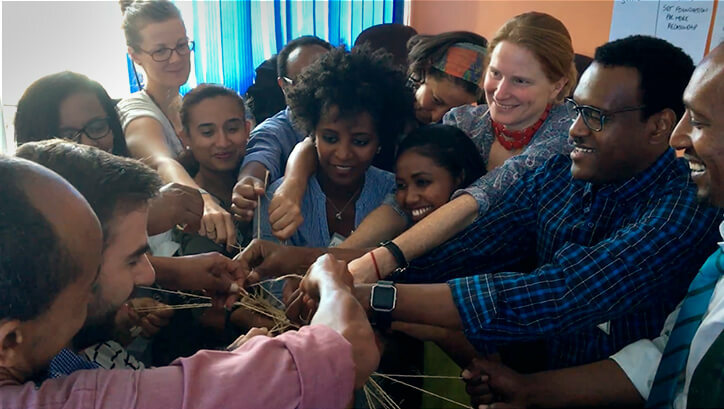 Ten members of the EthicalCoach team from six countries (UK, USA, Canada, Serbia, Croatia, Australia) were on the ground in Ethiopia. 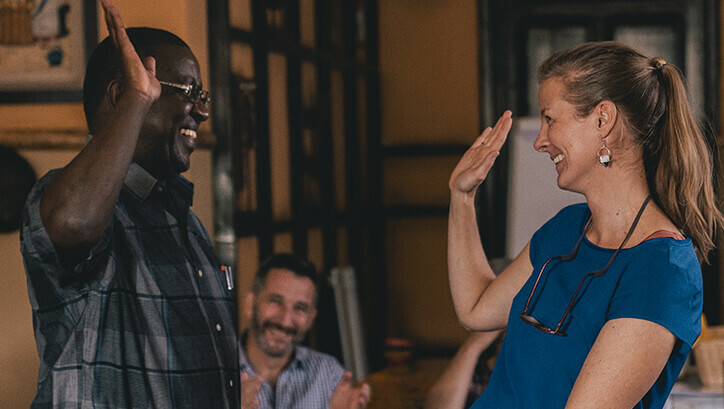 They were backed by over 100 volunteers around the world, including academics, humanitarians, entrepreneurs, and world-renowned coaches, as well as the entire WBECS team. Our global perspective, cultural respect, and mutual understanding allowed us to really learn and listen... and to be guided by the local context. And so it was that the vision of EthicalCoach came alive. 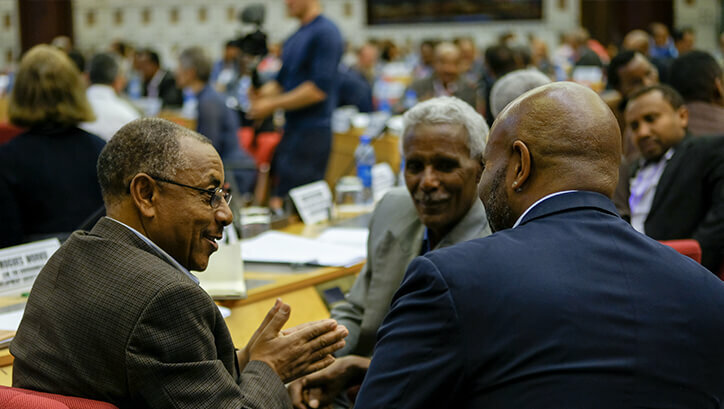 The first day of the Summit was dedicated to 250 NGO executive directors and country directors, leaders drawn from organizations across Ethiopia. International coaches Dumisani Magadlela and Nobantu Mpotulo set the tone with an inspiring session around the theme of Ubuntu, the Zulu word that has at its core a universal principle of shared humanity, of together being one. David Clutterbuck’s keynote built on this concept by exploring the ideas of Commitment, Courage, Compassion and Collaboration and how they contribute to exemplary coaching and leadership. 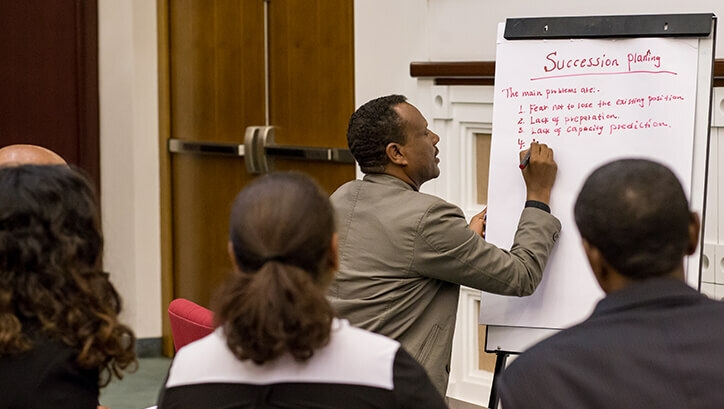 Breakout sessions, guided by the international and local coaches, provided the opportunity for participants to strengthen their personal vision and leadership skills while witnessing the power of coaching in action. 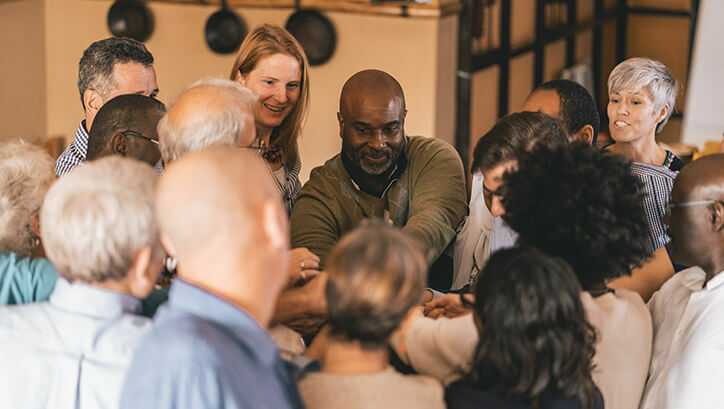 They created a definition of leadership, shared insights about common leadership dilemmas, and developed action plans while also deepening relationships and creating new networks. 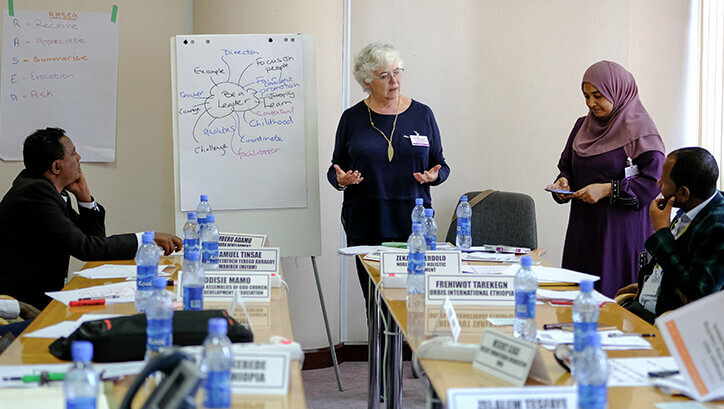 Also included in Day 1 was a session led by Howard Morgan and Wubet Girma focused on Women in Leadership. One of the staff from the UNECA had tears in her eyes that morning... as she told us that this was the first time she had seen that room filled only with women. 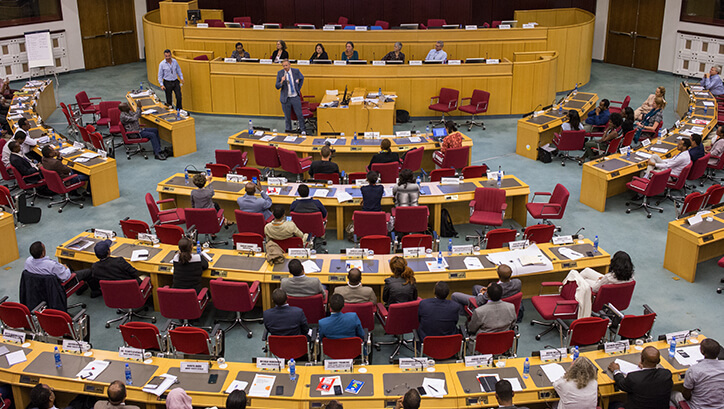 We could not have imagined that immediately following the Summit, the new Prime Minister would announce that he was committed to filling half of his cabinet positions with women and that the first woman president of Ethiopia would be elected. Day 2 began with a special “Wisdom of Crowds” session led by international coach, Katherine Holt. 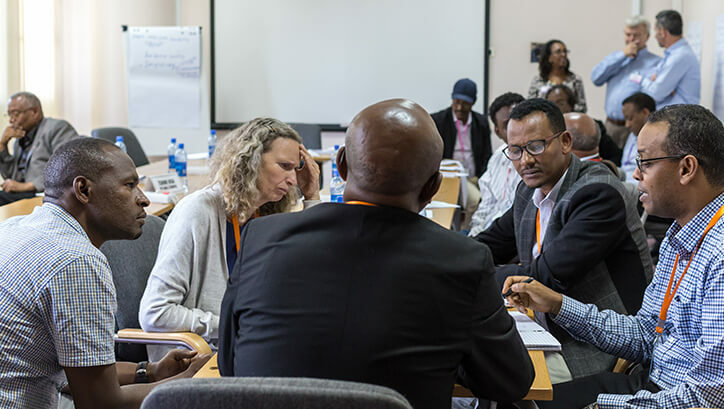 Small groups of participants, facilitated by international coaches, shared their knowledge and experience in the areas of conflict management, succession planning, collaboration and building innovation. They then captured their key messages on video in order for these insights, in the spirit of collaboration, to be made available to others across the sector. 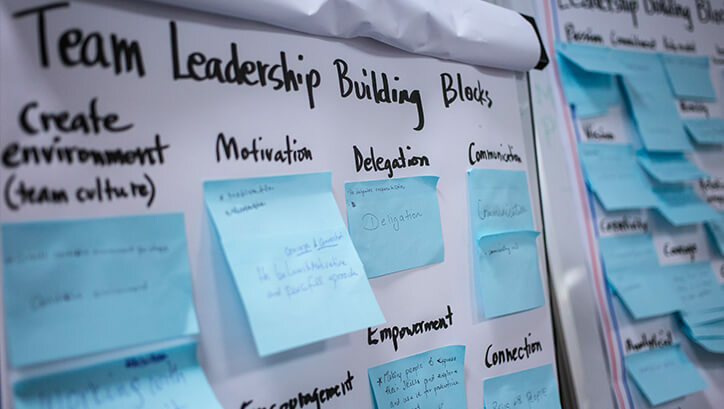 On Day 2, 40 senior leadership teams assembled to articulate team goals; develop a deeper appreciation of the skills, talents, and important contributions made by each team member; and determine priorities and build a work plan. Embracing the sense of opportunity and possibility created by a new prime minister and a commitment to change the way the sector is being regulated, attendees participated with passion and commitment. New tools were applied as practical solutions were developed that built on existing organizational strengths. 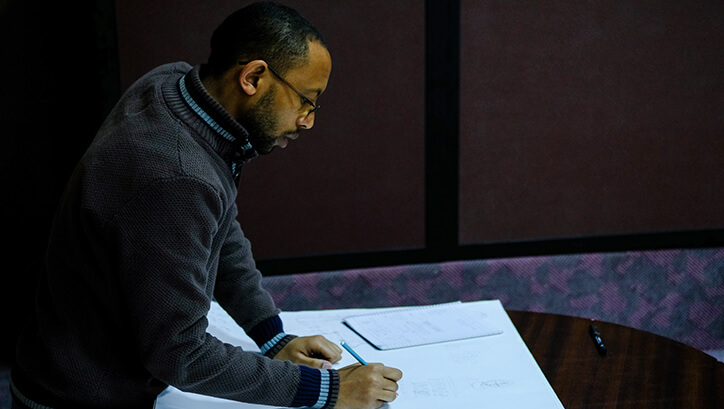 Ideas were shared with respect to attracting additional funding and turning plans into reality. The power of coaching was experienced on a personal level as new perspectives were explored and new insights gained through this motivating and engaging process of building individual, team, organizational and sector-level leadership capacity. 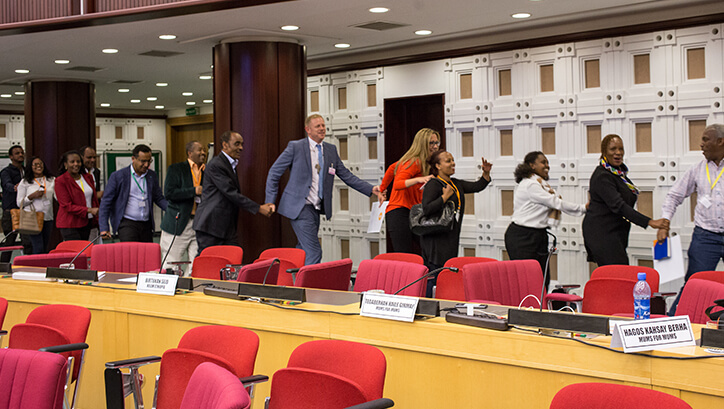 The NGO leaders departed energized to build on their track records of success and to step forward with renewed confidence to achieve their goals. What did our participants say about the event? 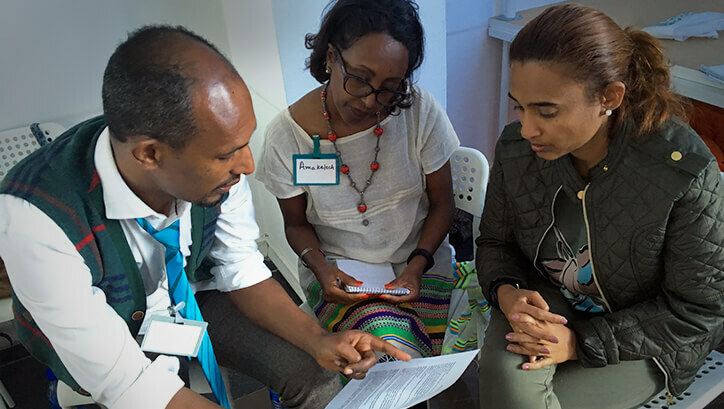 What are the next steps for EthicalCoach in Ethiopia? 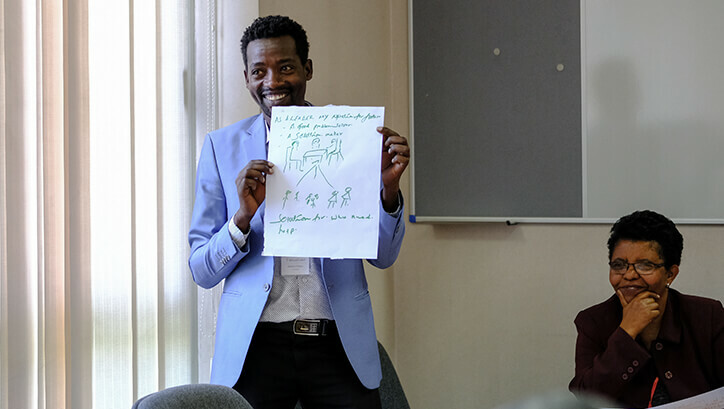 The Summit was more than a two-day event… It was the official launch of EthicalCoach and its vision of supporting NGO leaders globally to solve the greatest humanitarian and environmental issues of our time by connecting them with outstanding executive coaches. 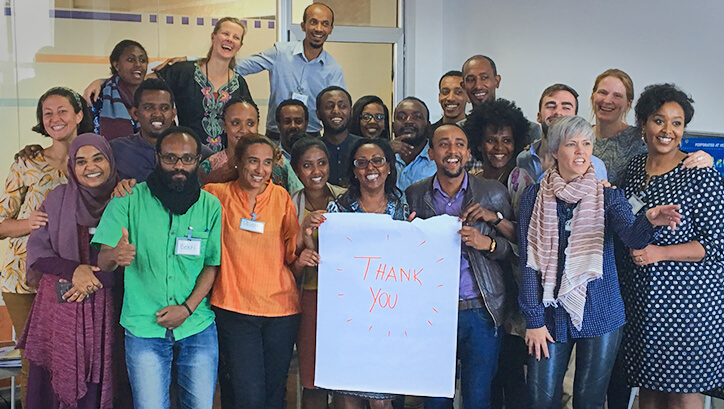 The journey continues in Ethiopia with the delivery of an $800,000 coaching grant and study of the impact of coaching on 20 NGOs over the next two years. Ten NGOs at a time will receive 12 months of both one-on-one and leadership team coaching from our international and local coaches. Leadership development resources will be made available to all NGO leaders attending the Summit. 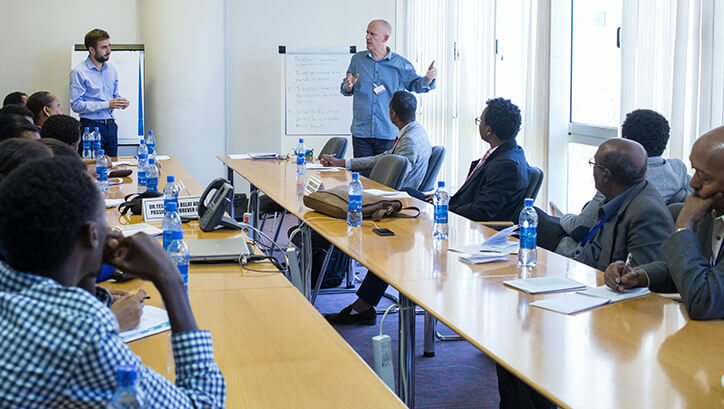 The local coaches are committed to expanding the coaching footprint in Ethiopia and their own ongoing development. Through the generosity of Ben Croft, WBECS and the support of international coach volunteers, the local coaches have been granted access to WBECS resources and training materials. 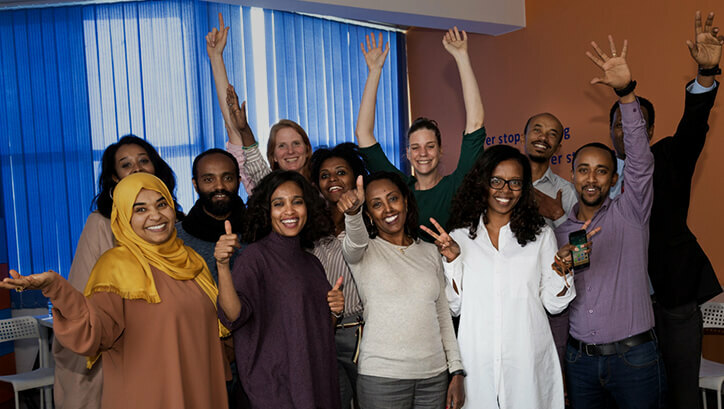 We will continue to provide updates on our progress, successes and learnings as we enhance NGO leadership capacity in Ethiopia. 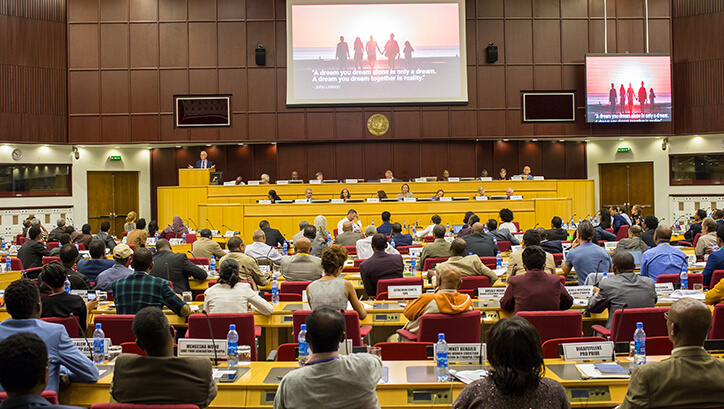 We will also share our plans, as they emerge, about future projects beyond Ethiopia. Impact Evaluations: initial data gathering. Impact - estimated the combined organizational reach of the attendees was at minimum 9 million children and families. Generosity of international and local coaches and the EthicalCoach team enables more NGOs to be coached. Ten local coaches will receive a full year of mentorship and coaching-experience-in-action as they work alongside the international coaches. The impact evaluation will continue over the course of 2019 with monitoring of both the 10 NGOs receiving coaching as well as the 10 ‘control’ NGOs to provide comparison data. A curriculum of materials, videos, presentations around leadership development will be curated and shared with all Summit attendees.